I have never caused a mini Twitter-storm before so this was new territory for me… I haven’t been using Twitter very long but in a short time I have found it to be one of the most valuable learning and development tools I use. I also observed that trailblazing teachers have come to the same conclusion – see the success of @UKEdChat and our very own @Pedagoo, as well as Twitter champions such as @cijane02, @mrkempnz and @markrpriestley to name just a few. Given how popular #UKEdChat is: why isn’t anybody using #ScotEdChat? And what would happen if I suggested that we should be using it? It turns out that others might have been thinking the same thing. 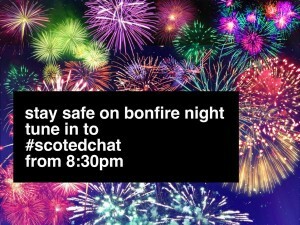 Previous attempts had been made at establishing #ScotEdChat but perhaps the timing wasn’t quite right. Before I knew it the tweet above had 214 engagements including 24 retweets and 41 hashtag clicks, it had started a few conversations, with ‘early adopters’ such as @fkelly, @mrspert1 and @athole getting right on board with the idea straight away. 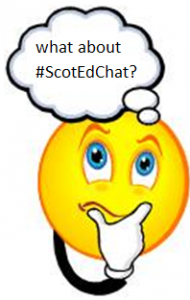 All of a sudden there was an expectation that #ScotEdChat might become an actual ‘thing’ so I continued to push it out there to see who else might like to get involved somehow, with no real idea of what #ScotEdChat was or could become. Since then the hashtag has received more and more attention and people have been making suggestions as to what it could be and how it could run. So here is my summary of feedback received so far and where I think we are at now. a place that allows for dialogue and “messy progress” – get involved to see where it takes you. This entry was posted in #ScotEdChat, Pedagoo, Professional Learning and tagged #ScotEdChat on October 31, 2015 by Gary Walsh. And we have lift off…excellent first blog which summarises all our discussions nicely! Exciting times ?? Looking forward to getting involved ?